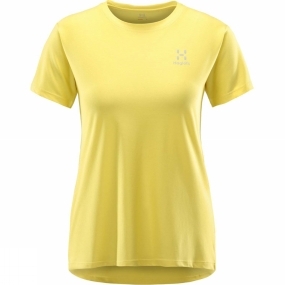 The Womens L.I.M Tech T-Shirt from Haglof is designed for great wicking and fast drying, making it an excellent choice for activity. Offset shoulder seams enable layers, and also stop the risk of your pack straps chafing. A reflective detail gives a little safety touch for when you're out at night.